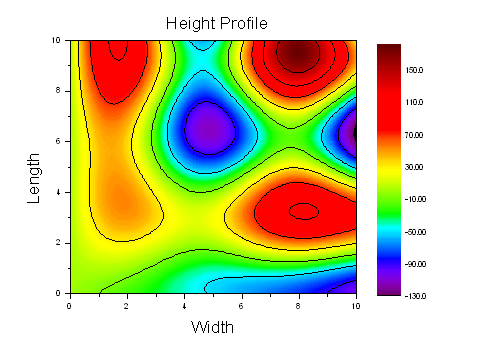 For a contour plot, Z values can be divided into many levels. These levels can be classified as major or minor. The Colormap/Contours tab provides controls for customizing the levels, fill color, contour lines and contour labels. Click a column header to open a matching dialog.